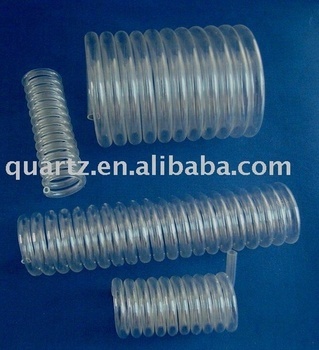 spiral quartz tube with tight size tolerance, slinky form and excellent feature. Melting point at 1730 degree, mainly apply for Thermocouples, samplers and high temperature parts. This products providing to Europe, America, the all and the one quality accord with international standard.